Ignovation: How to provide constant electricity in Nigeria with energy generated from train brakes! How to provide constant electricity in Nigeria with energy generated from train brakes! A massive battery parked at a substation on Frankford line is now storing energy captured from braking trains, saving the transit agency in energy costs and turning it into an electricity provider. Currently, trains running along the Market-Frankford line use the same kind of braking technology found in most hybrid cars, converting kinetic energy from braking into electricity and sending it along the third rail to a massive array of more than 4,000 30 Ah nickel cobalt aluminum batteries. Otherwise, that energy would’ve been wasted as heat. By recapturing and reusing that energy, SEPTA estimates it could save up to 30 million naira a year in energy costs or sell it to those that need it. Imagine when this is done on hundreds of trains? Viridity said that more than 95 percent of the energy that is stored at the substation can be reused – either to power trains or to be sold back to local utilities. That doesn’t mean that the trains themselves are 95 percent efficient, however. According to the SAE’s Off Highway Engineering magazine, the regenerative braking setup can only recapture 1.5 MW “because of limitations associated with funding for the project.” That 1.5 MW is less than the full brake energy of just one train, and any additional brake energy is still wasted. So the issue is not just about saving energy. Once it’s sent up the third rail and stored, that electricity can be sent across Philadelphia’s power grid in times of high demand. SEPTA has partnered with “smart grid” specialists Viridity to enter the electricity market, and estimates they could be making between N20 million and N50 million in added revenue each year by reselling the energy captured from trains. 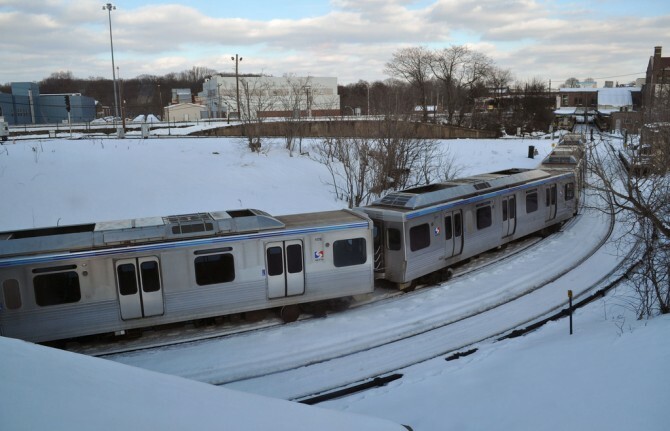 Nearly two years after SEPTA officially flipped the switch on the regenerative braking system in June, and early estimates show that power savings could be as much as 10 percent. Already, the Federal Transit Administration has granted SEPTA another $1.4 million to install a similar setup in another part of Philadelphia.